I love Disney, I love luxury. 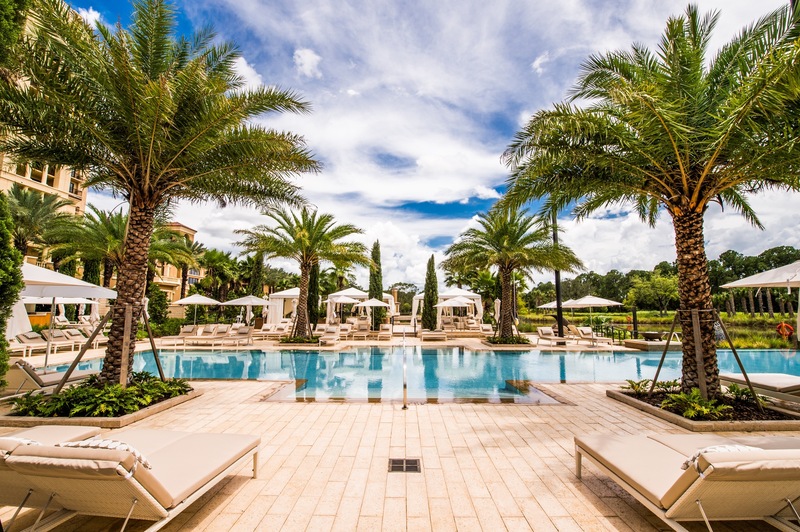 I have written about the Four Seasons Resort in Orlando for Greenwich Magazine, I have sent readers here, and finally the boys and I got a chance to visit it ourselves. 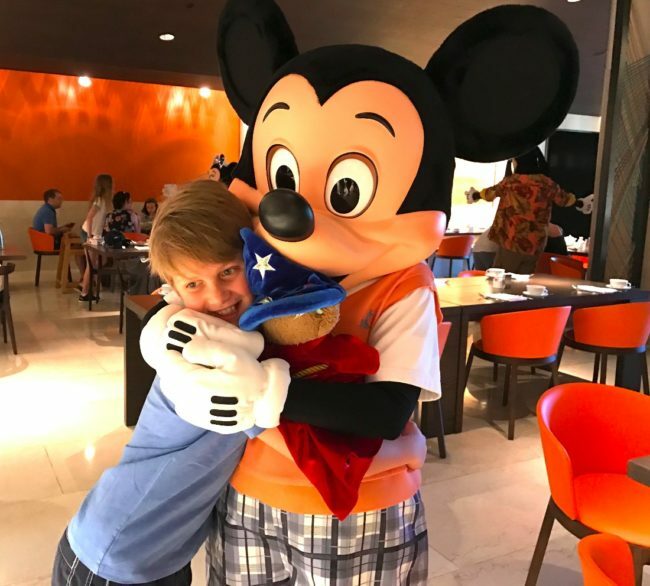 If you are planning a trip to Disney World or just looking for a sunny getaway in Orlando, the boys and I give the Four Seasons eight thumbs up. Yes Disney World has water parks, but they cost money, they are tightly packed, and they are one of the few things about the Disney theme parks that I honestly just do not like. 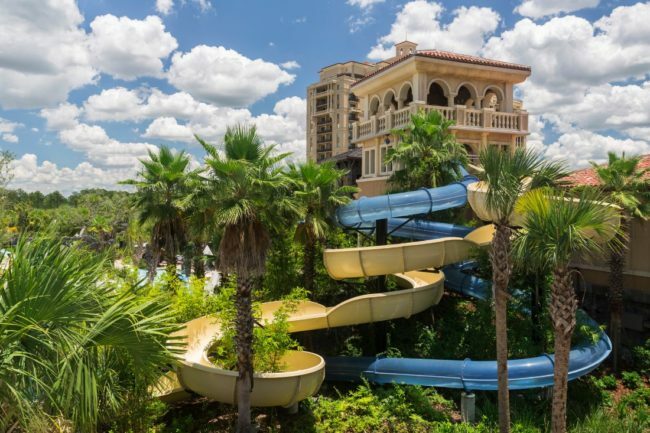 The Four Seasons has its own MASSIVE water park on property complete with water slides, lazy river, splash zone and a variety of pools (one is adults only and it serves cocktails). There are other hotels that have done lazy rivers, they are ok, sort of wading channels that go in a circle. 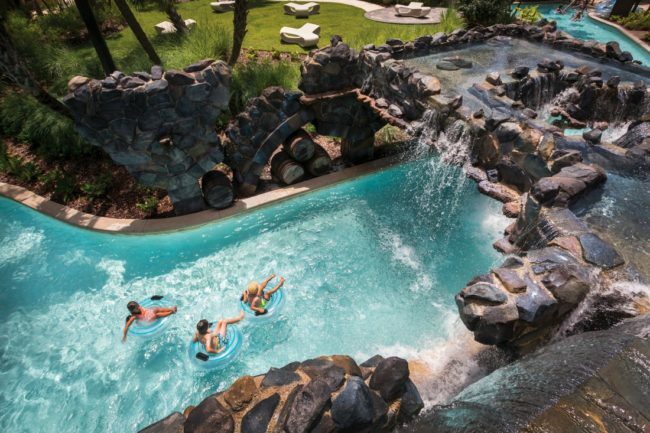 The lazy river at the Four Seasons has waterfalls, sprayers, a bubble zone and is only 4 feet deep. 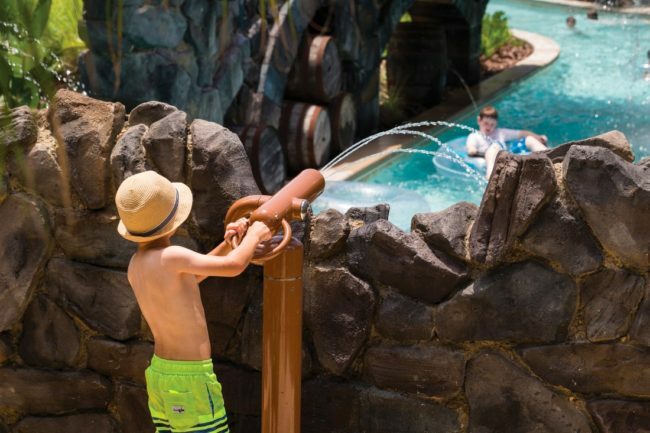 Anyone who has taken kids to Disney knows that getting them out of the park can be a challenge, you’re hot and tired, they’re hot and tired, but they want to go on “just one more ride.” The water park at Four Seasons Orlando makes it easy to bribe them away. 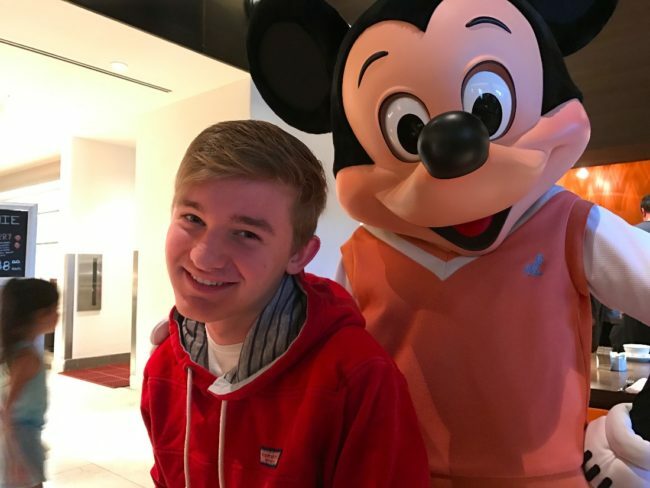 You can’t go to Disney and not meet Mickey Mouse, it’s a rule. 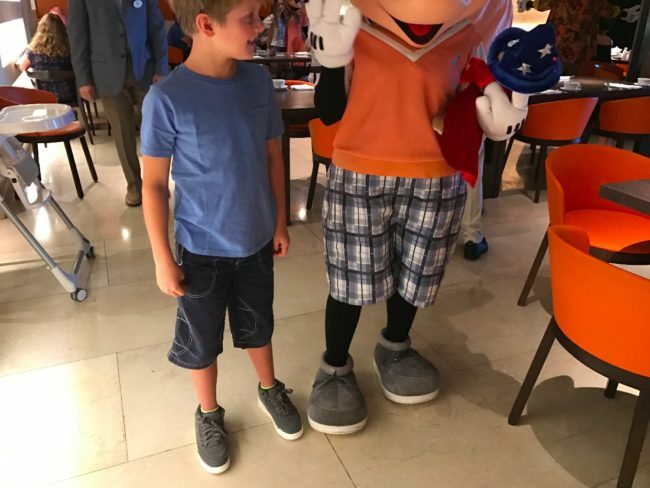 But if you’ve ever stood in a long line with a cranky small person clutching a sweaty autograph book waiting for the golden photo opp only to be told “Mickey’s going to take a break now.” And I will tell you, Mickey does not care. He moves as fast as Justin Bieber sprinting out of a mall of screaming pre-teens. Save yourself the anxiety and book a character breakfast. 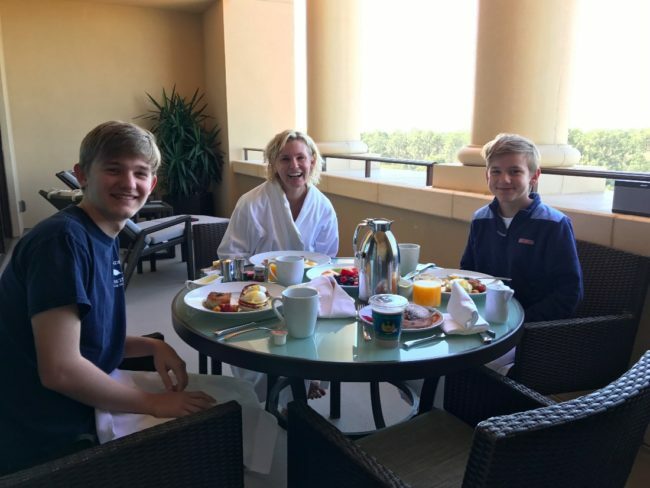 Many of the Disney hotels have them, the only non-Disney hotel that features Disney characters at breakfast is the Four Seasons Orlando. The breakfast buffet is actually very good and if you go a Thursday or Saturday, you will meet Mickey and Minnie. The other days of the week feature Goofy and Pals. I am the proud owner of a shoebox of Disney autograph books that my big kids could care less about, don’t let your kids sucker you into standing in lines to meet the characters. Do it in the air conditioning with a Bloody Mary. 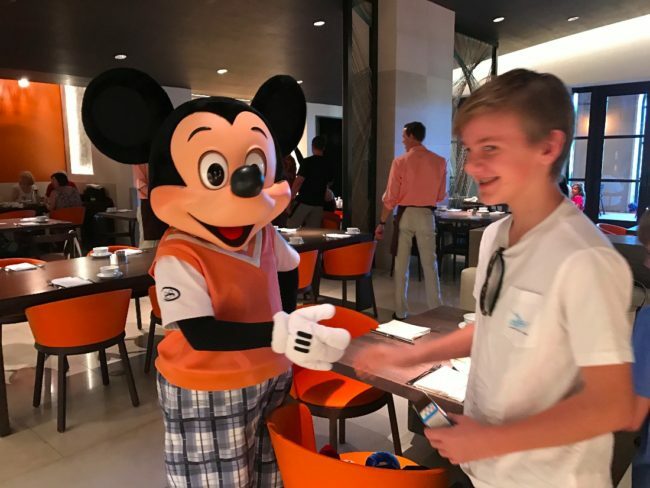 The best part of the breakfast is that the characters come by the table more than once and have plenty of time for tons of photos, they will even hug teens whom they know are just to cool to let anyone know they still love Mickey. There is a professional photographer and all the images are free. I took these on my iPhone, I lost the PhotoPass card, pro tip, take a photo of it with your iPhone. Don’t be me. Make a reservation by calling (407) 313-7777. Cost is $46 for adults and $24 for children ages 3-12. I saved my spa day for the last day we were in Disney. I don’t care what shoes you wear to hoof it across miles of hot cement for days on end, your dogs will be tired. Your shoulders will be wrecked from carrying that giant canvas bag packed with waters, granola bars and light sabers. I can honestly say I don’t think I’ve ever enjoyed a spa day more than I did this one, I almost cried it felt so good to slip under the crashing hot tub waterfall. In addition to a massive lounge area packed with fireplaces and cozy blankets, there is a nap room, a sauna, a spa and one of those super fun showers that you can push all the buttons and pretend you’re in the rainforest. I really enjoyed just sitting outside the spa, in my robe, all alone, in the quiet reading a book. 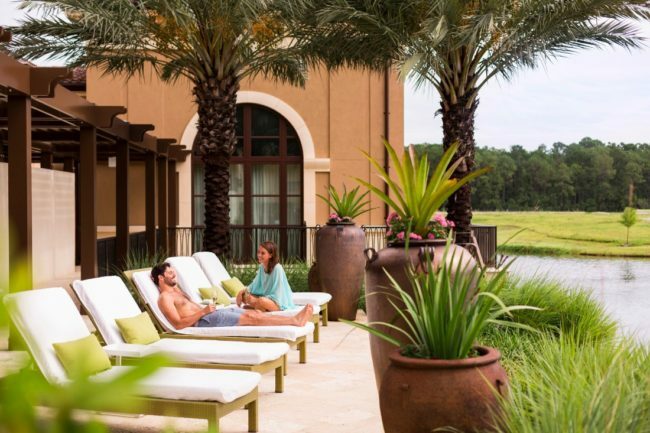 Pro tip, you do not have to be a guest at the Four Seasons Orlando to book a spa treatment AND you get access to all of the resort’s pools as long as you book an 80 minute treatment. Twist my arm. Book by calling (407) 313-6970. There were no shirtless dudes they day I was hanging out here. I love the Disney fireworks, I’m just not a fan of sardining myself with strangers on a square of cement to see them. I usually opt to either pay for one of Disney’s Fireworks Dessert Parties or book a Private Fireworks Cruise. 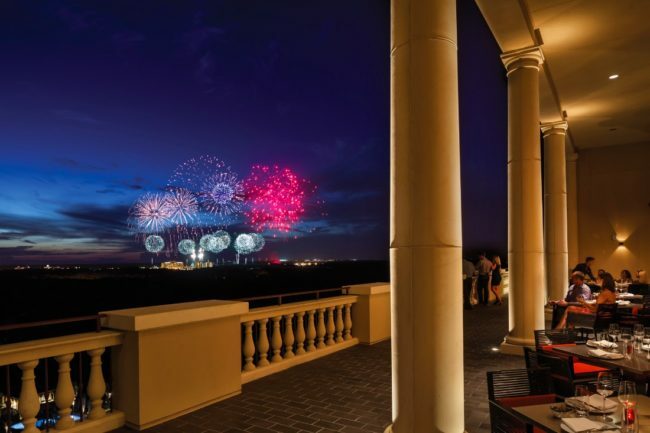 Another option is to book a room above the sixth floor and you’ll have your own private view of the fireworks every night. Or you can book dinner at Capa, the steakhouse on property with amazing food and great views. Complimentary as in free, as in you don’t pay. For those of us who have paid over $100 per child for kids’ camps know how extraordinary this is. 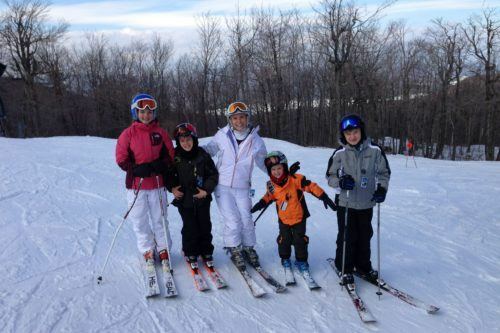 Kids for All Seasons is open daily from 10:00 am until 6:00 pm and is available for kids ages 4-12. You can drop them off for the entire day or for just a few hours (hint – while you’re at the spa). 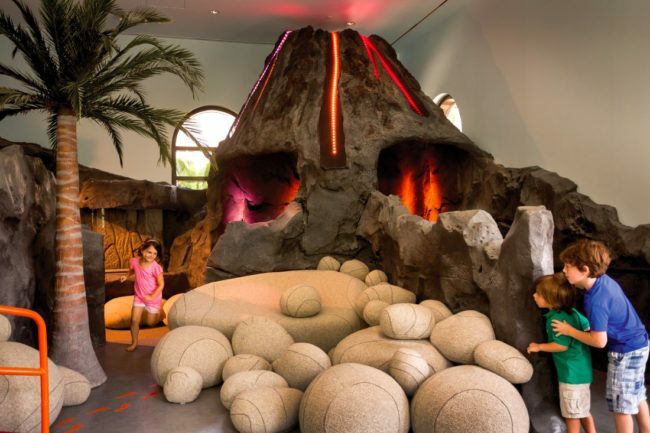 The camp is housed in the mansion, there’s an entire playground, an interactive volcano and pool activities. Children must be able to swim, the camp staff are not lifeguards. If you need babysitting services, those can be arranged with 24 hour notice. 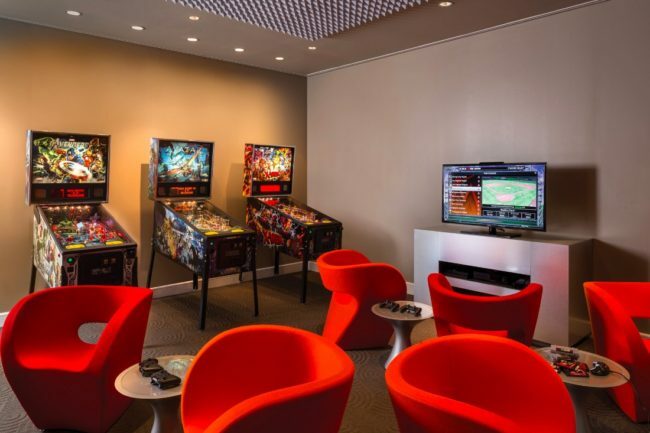 I can’t explain why I am obsessed with hotels that do these. I think it’s the kid in me. 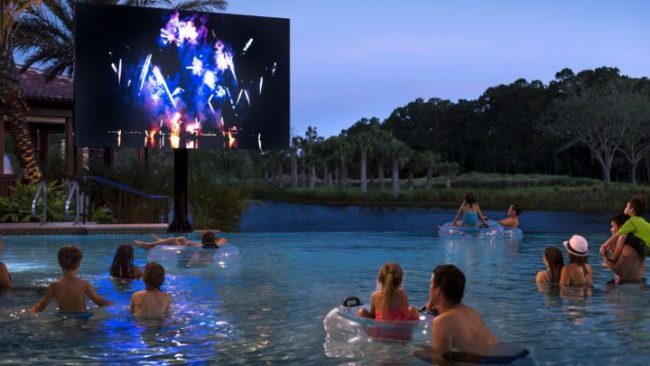 Watching a movie while you float in a tube is just the bomb. They have a movie every Saturday night and some select Thursdays. There’s free popcorn and they offer food and beverage service. The kids can watch a movie, the pool counts as a bath, you put them in their PJ’s and BAM best bedtime routine ever. Four Seasons service is legendary for a reason. It’s one of the few resort brands that delivers the same service standard across the brand. 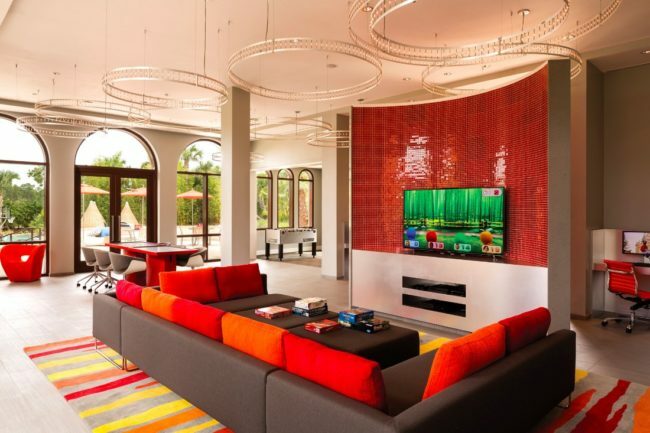 It’s also the only AAA Five Diamond hotel in Central Florida. A few important service points for families. 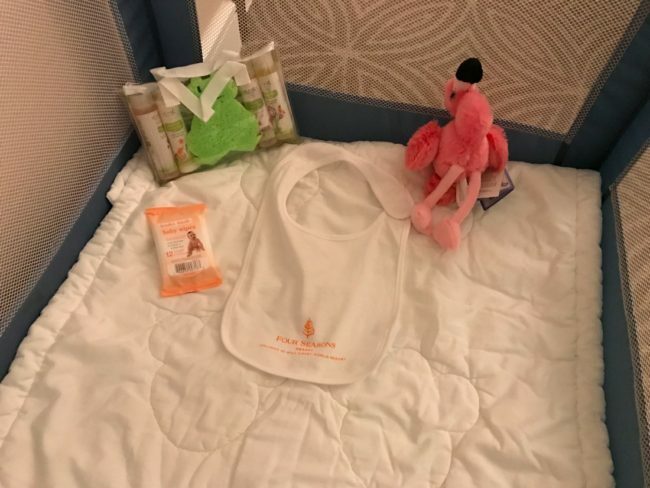 They will deliver a pack and play to the room and it comes with these amenities, but they also deliver a diaper genie. I have never seen that at a hotel EVER. To be clear, I don’t have kids in diapers anymore, but I ordered it to do research (for you XO). Also, important to note for families, this hotel does not offer roll away beds (my only knock on the property). 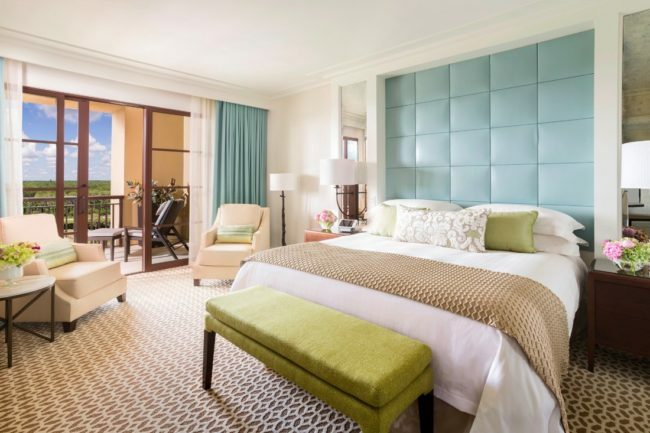 The sofas can be made into pull out beds, but make sure you book a room with enough beds for the whole family or your kids will try to cram their 11 year old in the research pack and play. I heard that somewhere. Twice daily room service. And not just a quick vacuum either, I am a sucker for good housekeeping and thoughtful details. What is it about someone organizing my toothbrush that thrills me so? They also offer kid sized robes, and little tiny Four Seasons slippers. The balconies are spacious with lounge chairs and outdoor tables for dining. My biggest travel indulgence (ok, one of my many travel indulgences) is room service breakfast with the kids. The energy that it takes to get my kids dressed, to a restaurant, then seated, then order, then wait for food is more than I can handle on vacation. I order room service when we wake up, then I get coffee and time to take a proper shower, everyone gets a filling meal to start their day and we are off. Every morning the staff set up our balcony like our own private al fresco dining room. If you are wondering how big the rooms are and what they look like, here is one of Keaton’s epic check in videos. You would think that walking around Disney World would be enough of a work out, but I really need some yoga or a run. 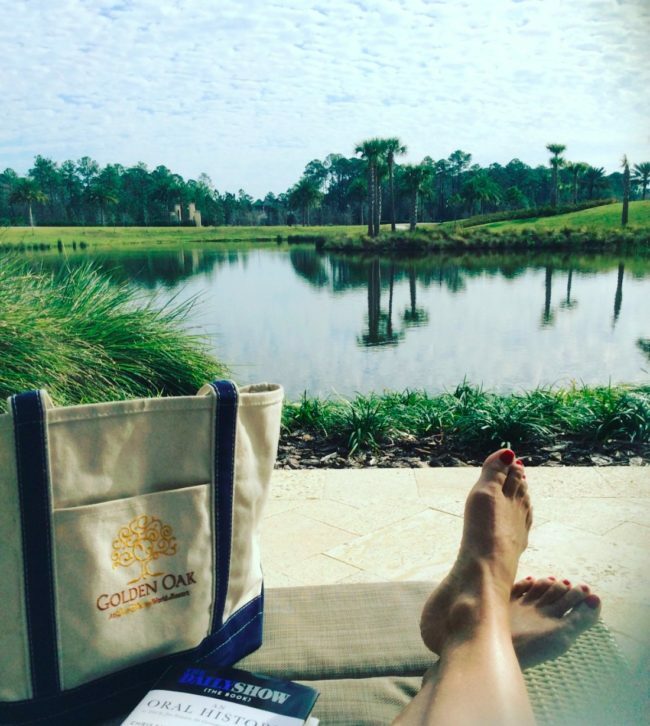 The Four Seasons Orlando is on the grounds of Golden Oak, the luxury home community where you can LIVE at Disney. Trust me, it’s all Keaton talks about. 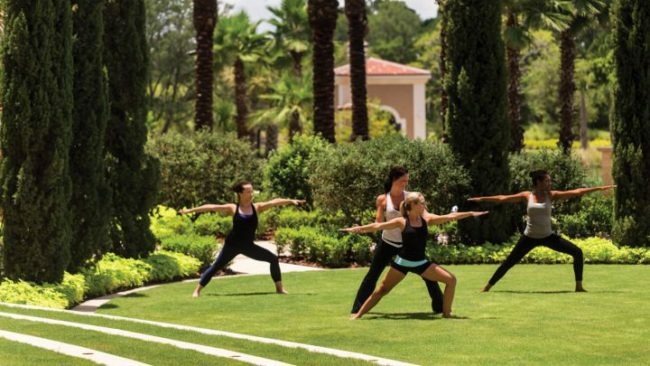 It’s great for a morning run, the resort also has a full workout facility, plenty of treadmills, yoga on the lawn. If you get there and realize you forgot your work out clothes, they have complimentary clothes and shoes you can use. There is also a Tom Fazio golf course and tennis, I did not get a chance to check out either, so clearly I need to go back. I highly recommend that you plan ahead for your Disney park experience before you get to Orlando. 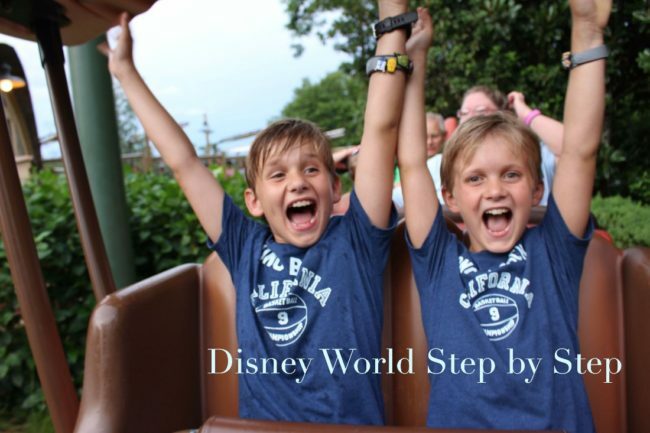 Here is my Step by Step Guide to Planning your Disney World Vacation (click on photo to reach article). I have readers who have printed this and used it with their children to plan their visit. However, if you need help with tickets, maps, advice, anything. 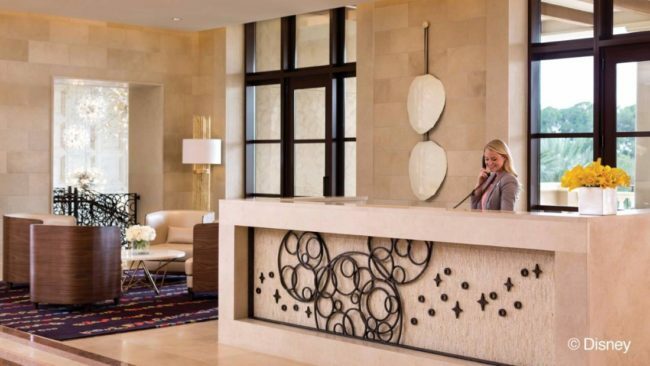 Four Seasons Orlando has Disney staff on site to help you. There is a complimentary shuttle that runs to the parks at certain times during the day. I was way too impatient to wait. There are always taxis and black cars out front that will quickly whisk you to the park of your choice, they’re not cheap, but time is a premium in my opinion. 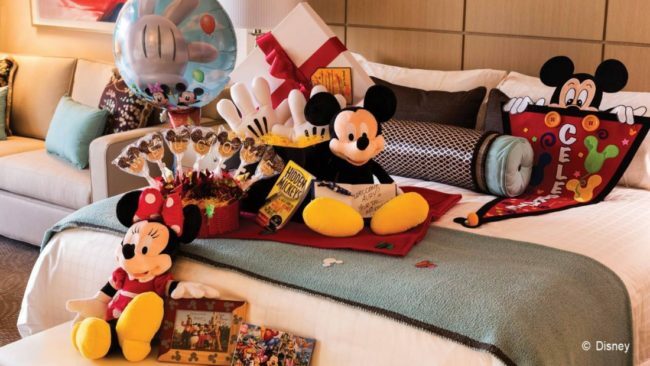 You can also organize a fun in room amenity for your children before they arrive, the room can be decorated Princess, Pirate, Mickey – you choose. If you are considering a VIP Tour – you can find more information HERE. 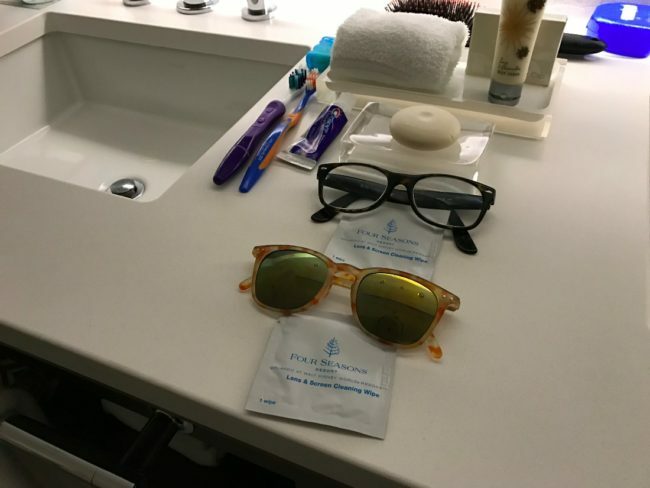 The boys and I were the guests of Four Seasons Orlando for three nights for review purposes.